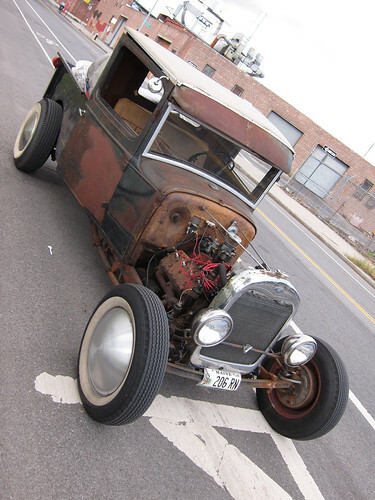 Crusty, rusty 1931 Ford AV8 Pickup on the streets of Brooklyn. 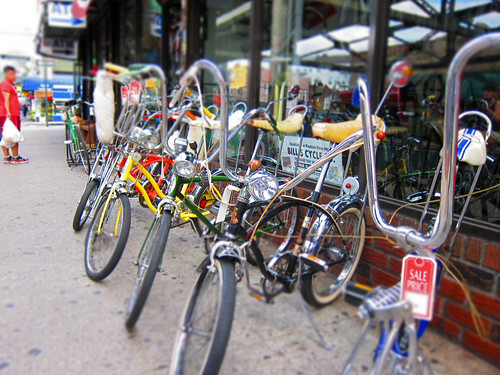 Collection of vintage Schwinn bikes outside of Bill's Cycles in Woodside, Queens (NY). My boyfriend and I went on a very long (somewhere around 30 miles) bike ride this past weekend to check out Flushing Meadows park, and I hit the brakes when I saw this fine assortment of vintage Schwinn Stingrays and Fastracks outside of a bike shop on Roosevelt avenue. 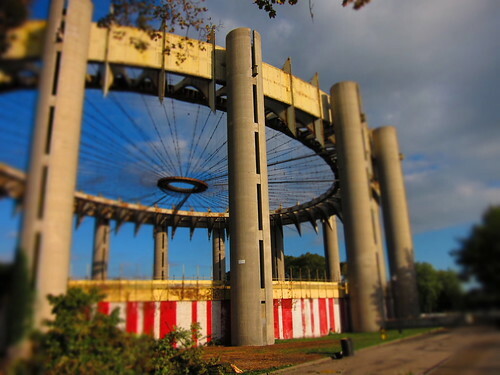 But now looks like a horrific abandoned futuristic circus big top, prime for the set of a B-grade slasher movie. I was inspired to practice my circus skillz. Bada Bing Babes Burlesque // Jacksonville Boudoir & Pin-up Photography, originally uploaded by LINDSAY PULLEN design. 1957 Dodge Custom Royal D-500 @ the Carlisle All-Chrysler Nationals, July 11, 2010. 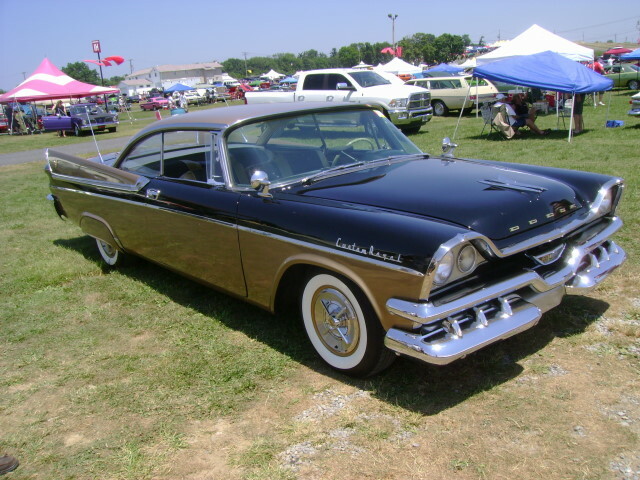 I've said it many times before, but for some reason, when asked what my all-time favorite classic car is, the 1957/58 Dodge always comes first to my mind. DeSoto, Coronet, Royal...all with their enormous bat-like wings and front end with a menacing grimace. Virgil Exner hit the nail on the head with this one. Well, well, well...months and months ago I was working in earnest to clean out some of the years of junk accumulating in my closets, when I came across a number of rolls of undeveloped 35mm film. 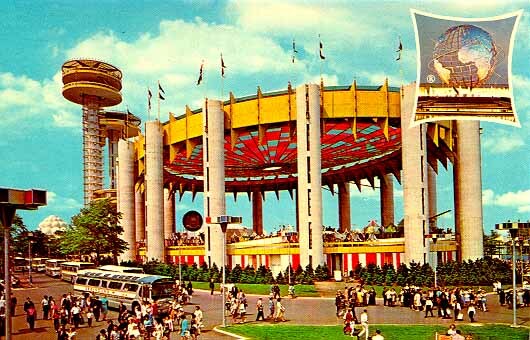 (Oh, remember the days?!) Lo and behold, at least one of the rolls contained a bevvy of photos from an old NSRA show I'd been to in PA. Joy! 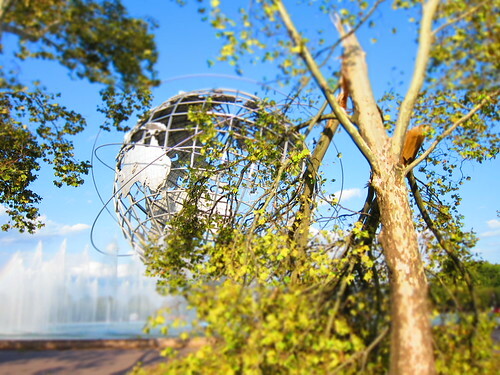 Fast forward to now, when I'm sick as a dog at home, trying to keep my mind off my throbbing throat and numbing my brain with a little website maintenance, when I realize that HEY NOW...I never posted those old photos to my website. ...voila! I mustered up my last bit of energy for the evening to provide you with some "vintage" Garage goodies. Click the image above to head over to our RODS page and open up the NSRA '00 photo gallery.